While it’s natural for women to gain weight during pregnancy, when a mother gains excessive weight during early pregnancy it can be unhealthy for the baby. Excessive early pregnancy weight gain greatly affects the size of the newborn infant. Pregnant women should know the health risks of gaining too much weight early on in their pregnancy and take appropriate actions to prevent this from happening. According to a recently published study, weight gain before 24 weeks of gestation has the greatest effect on the size of the baby at birth. When a woman gains weight in the first 24 weeks, it is proven that the infant is 2.5 times more likely to be born overweight. When pregnant, weight gain is obviously inevitable. Many women may wonder what the healthy range is. Women who are underweight should aim to gain no more than 28 to 40 pounds. Women of a normal weight should aim to gain no more than 25 to 30 pounds. Overweight pregnant women should aim to gain no more than 11 to 20 pounds. According to the study conducted, infants born overweight have a high likelihood of childhood obesity. How Common Is Early Pregnancy Weight Gain? 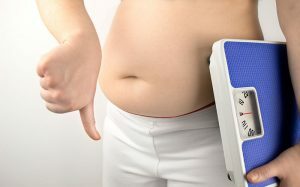 Another published study indicates that women who gain more than 53 pounds during pregnancy are more than twice as likely to have an overweight newborn. Much of this weight is gained within the first 24 weeks of gestation. 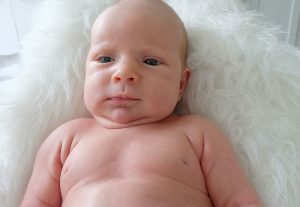 Why Is It Unhealthy For a Baby To Be Born Big? When a baby is born big, or in excess of 8.8 pounds, there is a much higher risk of childhood obesity. This leads to even bigger issues, such as childhood diabetes and the development of cancer and heart disease later in life. When an expectant mother gains too much weight, she is not only putting herself in danger, she is putting the health of her unborn child at risk. How Do We Prevent Weight Gain In Early Pregnancy? Expectant mothers don’t have to endure stress regarding excessive weight gain before 24 weeks of pregnancy. There are steps they can take to keep their weight in check. It is advised to start the pregnancy at a healthy weight, so women should make sure they lose excess pounds before becoming pregnant, if possible. While pregnant, eat enough calories, but eat in moderation. Snack on fruits and vegetables, and make sure that your meals consist of fiber, protein and healthy fat. Cut back on sugar and drink plenty of water. Pregnant women should also consider talking to their doctors regarding exercise. Aim for a walking regime of 10,000 steps per day, and if you are already active, don’t stop your workouts, except if advised by a medical professional. Remember to always speak with a doctor before starting any diet or exercise regimen when pregnant or trying to conceive.